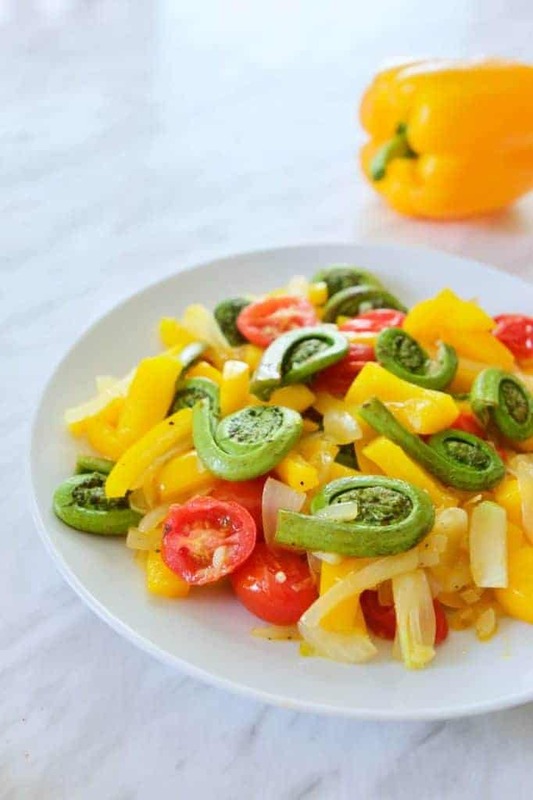 This Sautéed Fiddleheads recipe is easy and quick to make, and so colourful too! With a flavour profile like asparagus, fiddleheads are only available in spring. According to this article, fiddleheads need to be properly cleaned and cooked. 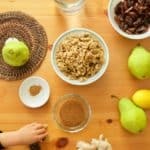 Avoid eating them raw or undercooked. Clean the fiddleheads several times in cold water, removing the brown papery husks. Cook the fiddleheads before adding to soups, salads, or dishes like this recipe. Cook in boiling water for 15 minutes or steam for 10-12 minutes. How do I make this Sautéed Fiddleheads recipe? If you haven’t cooked the fiddleheads yet, cook them in boiling water for 15 minutes or steam them for 10-12 minutes. In a pan at medium heat, add the ghee. 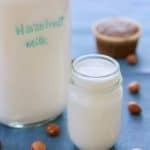 You can use virgin coconut oil as a vegan alternative. Once hot, add onions and garlic. Sauté until onions are translucent and garlic is fragrant. Add tomatoes and cook for a minute or two. 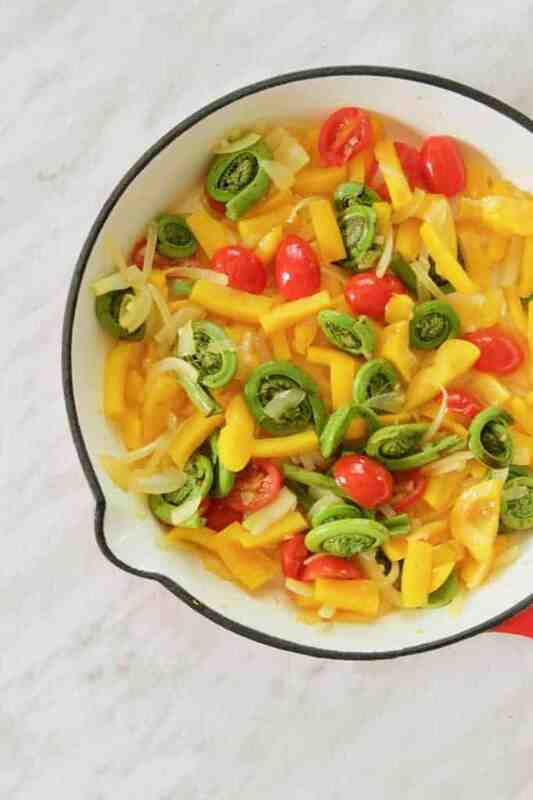 Stir in the yellow bell pepper. Cook for another few minutes. Add some sea salt and ground black pepper to taste. 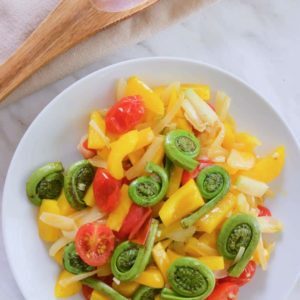 Have you tried fiddleheads before? 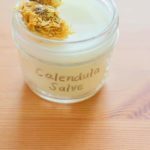 What have you made with them? Leave a comment below and let me know. 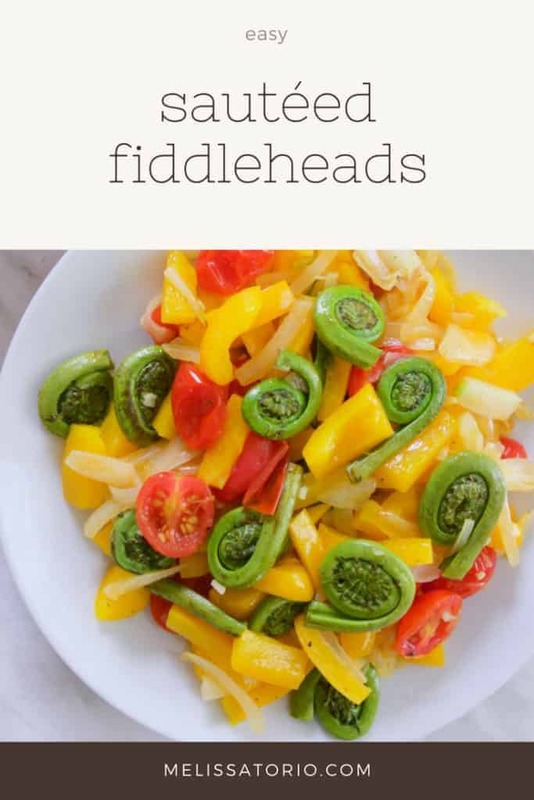 Haven't tried fiddleheads before? 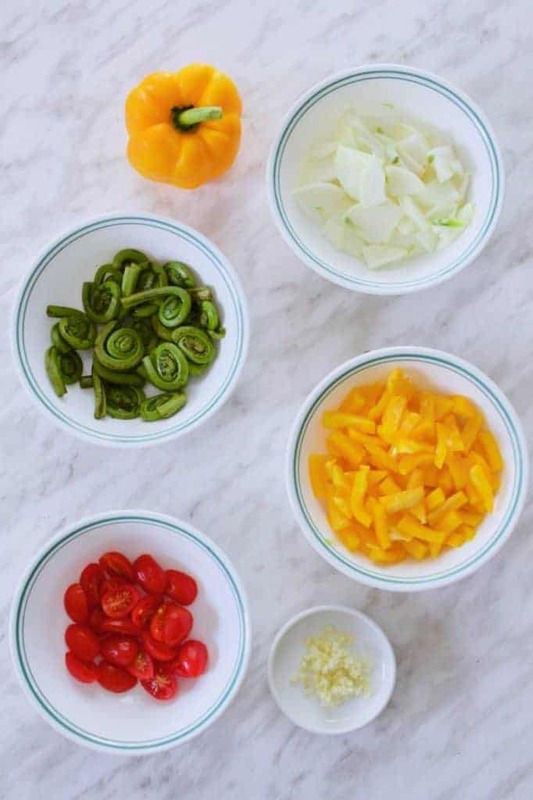 Try this easy recipe for these baby fern fronds that only come out in spring. Clean the fiddleheads several times in cold water, removing the brown papery husks as much as possible. Cook them in boiling water for 15 minutes or steam them for 10-12 minutes. In a pan set to medium heat, add the ghee (or coconut oil). Once hot, add the onions and garlic. Cook until onions are translucent. Add the tomatoes and cook for 1-2 minutes. Stir in the yellow bell pepper. Cook for a few more minutes. Add the cooked fiddleheads. Mix everything together. Small, Ernest. “Fiddleheads.” The Canadian Encyclopedia, www.thecanadianencyclopedia.ca/en/article/fiddleheads/.